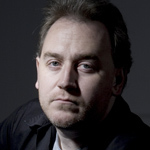 Sean Hogan is a writer and filmmaker. His directorial credits include Lie Still and The Devil’s Business; he also produced the feature documentary Future Shock! The Story of 2000AD and has worked on the screenplays for a number of other films, most notably The Borderlands. In collaboration with Kim Newman, he was responsible for devising two multi-author anthology plays, The Hallowe’en Sessions and The Ghost Train Doesn’t Stop Here Anymore, both of which he directed. Most recently, he wrote a metafictional book on the cult 70’s horror film Death Line, and wrote and directed a short film homage to the BBC Christmas Ghost Story tradition entitled We Always Find Ourselves in the Sea.